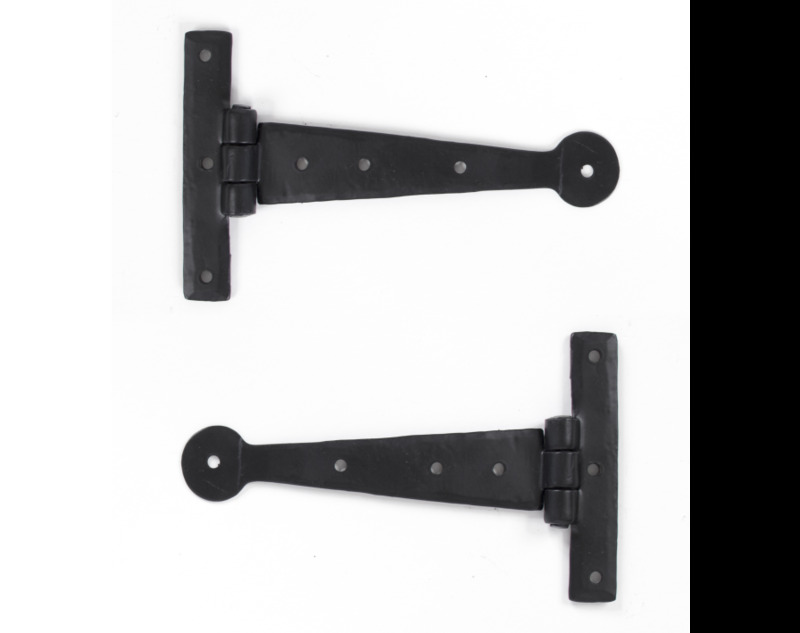 They are hot forged ie drawn to shape not welded or fabricated.The hinge knuckle is fashioned in the traditional way and is very strong. Sold in pairs and supplied with necessary fixing screws. 6" T Hinges for kitchen cupboard doors.